A quick quiz question for you. 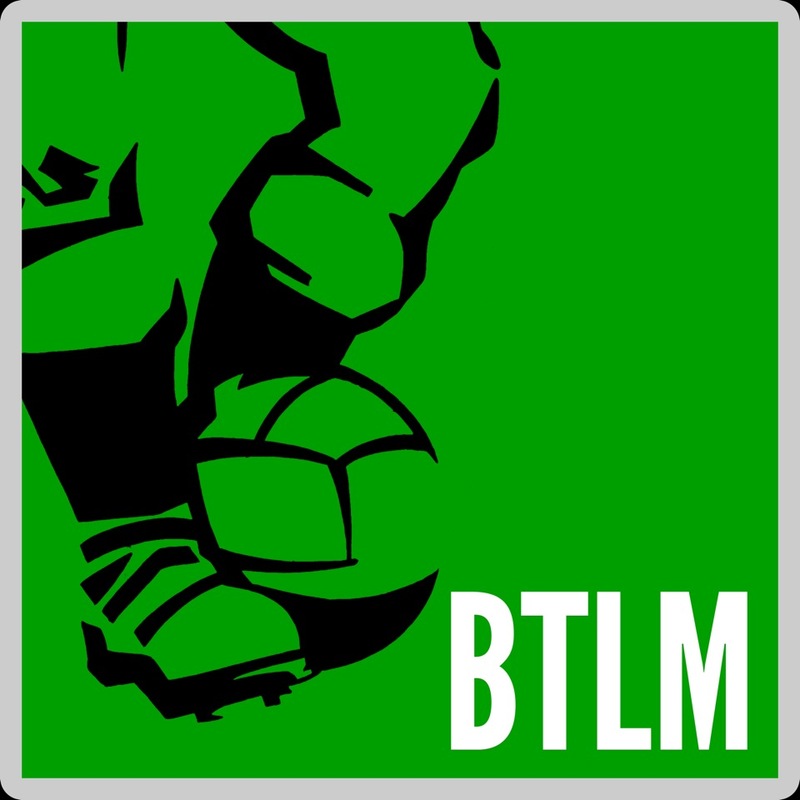 Which European club became the first to play competitive European fixtures in all four of the UK home nations, plus the Republic of Ireland? It’s a question that doesn’t play nice with Google and is likely to baffle even the most committed of football trivialist out there. A clue to the answer is somewhat visibly contained in the title of this post. It was one of those strange oddities that in 1960s European competition Zaragoza was statistically more likely to be drawn to play against a team from Britain and Ireland than not. The seven European campaigns they undertook during the decade saw them travel to Scotland on five occasions, England four times and Wales, Northern Ireland and the Republic of Ireland once apiece. Had they spent anymore days in the UK, the government would have declared them as residents and issued a tax demand. More improbable still was how between November 1964 and May 1966, Zaragoza would draw British or Irish opposition seven times in succession. Their 1964-65 Cup Winners Cup campaign took in ties against Dundee in the second round, Cardiff City in the quarter-finals and West Ham United in the semis. The following season they played in the Inter-City Fairs Cup and after a first round bye, successive rounds pitched them against Shamrock Rovers, Hearts, Dunfermline and Leeds United. After winning all these ties on aggregate, Zaragoza had arrived in the Final and with no British teams left to defeat they had to make do with playing Barcelona instead. This respite from their ongoing road trip around the United Kingdom was temporary and the Spaniards were soon back on our fair shores in the very next season’s Cup Winners Cup. This particular campaign offered up challenging fixtures, if poor sightseeing opportunities against Everton and Rangers. It was at the very least another couple of unusual regional accents to pick up and entertain the folks back home with. Statistical curiosities aside, this was an era when Zaragoza had an outstanding team and were renowned Cup specialists. Between 1962 and 1966 they played in four successive Copa del Rey Finals and two Inter-City Fairs Cup Finals, a scarcely imaginable achievement when just a decade earlier the prospect of winning trophies and becoming provincial British travel experts couldn’t have been more remote. At the start of the 1950s Zaragoza played at Third Division level with second-hand balls on grass-free pitches. By 1957 the club had established itself in the top division and started to build a fine team through a resourceful policy of signing promising youngsters and cast-offs from bigger clubs. Severino Reija was a young left back of promise signed from La Coruna, but it was attacking talent the club was especially adept at spotting. 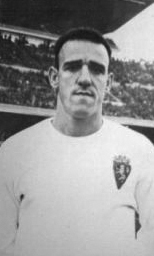 Centre-forward Marcelino arrived at the age of 19 from the lower divisions; Carlos Lapetra was a speedy and energetic winger from the youth ranks; Juan Manuel Villa and Eleuterio Santos were both youthful inside-forwards, the former rejected by Real Madrid and the latter signed from Tenerife. This quintet cost the club virtually nothing and yet all became full internationals. In 1961 Zaragoza spotted another bargain in the Peruvian, Juan Seminario. 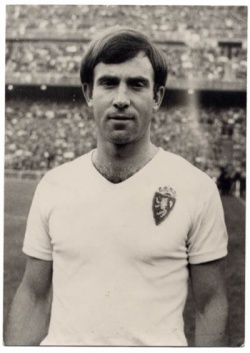 Soon forgotten at fickle Barcelona where he was unlucky to be one foreigner too many, the left-winger moved to Zaragoza and his single season there yielded 25 goals in 30 League matches and the Pichichi Trophy. He moved on to Italy and was replaced by the Brazilian, Canário, considered dispensable by Real Madrid and Sevilla but converted into a brilliantly effective left-winger at Zaragoza. 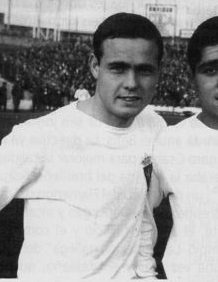 The club’s mid-60s forward line of Canário, Santos, Marcelino, Villa and Lapetra was nicknamed ‘Los cinco magnificos‘ and is remembered to this day as one of the greatest in Spanish football history. Still never really a big name either domestically or abroad, Zaragoza were underrated and floated under the radar for much of the decade, perhaps explaining in part why British sides struggled against them. No British club side has ever won at their La Romereda stadium and Zaragoza have lost just 3 of the 15 ties they’ve played against British and Irish sides. Even the encounters that were lost proved close affairs – Rangers for one advanced at their expense only on the toss of a coin. After yet another pair of back-to-back Fairs Cup ties against Aberdeen and Newcastle in 1969, Zaragoza’s attempt to single-handedly conquer British club football was over as they declined as a force in the 1970s and avoided British clubs in the few European campaigns they did participate in. 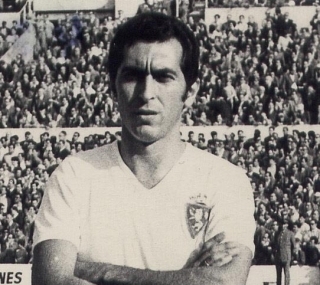 Having played British sides a dozen times in the 1960s, Real Zaragoza have drawn them just three times since. The most recent occasion was the most famous of the lot – Nayim’s extraordinary, last-gasp lob from 45 yards defeating Arsenal and winning Zaragoza the 1995 Cup Winners Cup.